Sidney Herschel Small was a noted writer of stories set in Japan and China. 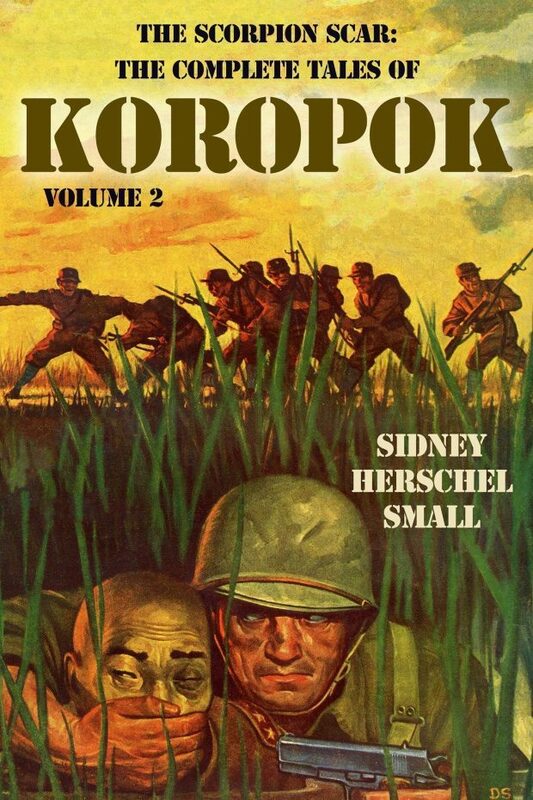 Writing at a time when the Yellow Peril stories were a staple of the pulps, he created Chinese and Japanese characters that were good, bad and somewhere in between: in short, just like most people. He was born on Feb 17, 1893 in Redwood City, California, just north of San Francisco. He was born at a time when the restrictions on the immigration of Chinese into the United States were just starting. His parents seem to have been engaged in a family business of which I cannot find any details, but which seems to have been connected with the Orient. His mother’s family was descended from one of the miners who came to California after the Gold Rush that started in 1849. “My mother's people were as nearly '49ers as possible: my grandfather came across the plains, was a miner, kept store and slept nights under the counter; my grandmother came round the Horn a little later, and tells of the passengers' fears of the omnipresent shadow of the Alabama.” (The reference is to the Confederate ship Alabama, which was the most successful raiding ship of the Southern Confederacy in the American Civil War, capturing more than 20 ships in a short time between 1862 and 1864). A business man I was to be. Courses such as Money and Banking (now a total loss!) and Corporation Finance at Wisconsin headed me in that direction, but in between I managed to sandwich, as a sop, a good bit of the so-called cultural courses. When the time came, I went to work, with what might honestly be called a very poor grace. held what our town paper called a responsible position with a great manufacturer. It was responsible. If I loafed, the stock became dusty. This in New York. Next: married, salesman, advertising manager, advertising agency, which is certainly going down the scale of importance, you can see. The first was and is a success, the second not so bad, the third sort of lukewarm roast-pork, and the last defies adjectives. Mark Twain hits it: my thoughts would spoil the sale of any Sunday booklet. By mutual consent, I quit. When it is considered that an exceptionally promising art career was given up by my mother when she married, and that every member of the family was art-loving and musical, it seems that the very thought of making of me a solidly-foundationed business man was—well, ill—advised, or possibly over-ambitious. I was well vaccinated with something else, and the serum had taken effect. For anyone with an ounce of sense (which I haven't) and with two boys (which I have) to start writing for a living was considered—you say it. But, since I couldn't get me a job, why not? And, writing, why not about something of which I knew? The ' 'family business" was in the Orient, trips were taken back and forth every two years or so. Oriental stories (if I may become professionally jealous a moment) were usually about “wily" Japanese who were always tricky, and "inscrutable" Chinese who were always wily, and "trusty" East-Indians, who were always inscrutable. Anything different? It simply wasn't done. Ergo: a short story or two or three, and then The Lord of the Thunder Gate; after that Kayama's fat fictional brother, Okyo, who will parade through the Purple Rings. He started his career with stories in Collier’s and Adventure, and went on to write over half a dozen books, more than 500 short stories in pulp magazines (Adventure, Detective Fiction Weekly) and slicks (Collier’s and the Saturday Evening Post). The titles of these stories evoke the exotic and mysterious Orient - “The Junk with One Eye”, “Gunpowder Tea”, “The Crimson Cord”, “The Camphor Jungle”, “Flowering Jade” among others. He was active in the Author’s Guild, giving guidance to young authors. Notable among these was Robert Joyce Tasker, an inmate of San Quentin prison, who wrote the book “Grim Haven”. 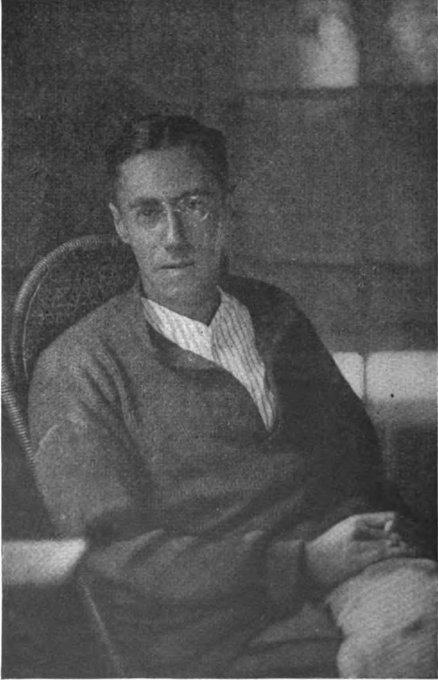 Tasker later went on to be a successful Hollywood screenwriter. Sidney Herschel Small died on 20th or 23rd June 1958, at the age of 65, from lung cancer. He was survived by his two sons, Sidney H. Small Jr. of San Francisco and John Small, chief of the research section of the Jet Propulsion Laboratory at California Institute of Technology. John Small was one of the people responsible for the launch of the first US satellite on 31 Jan 1958, which Sidney Small lived to see. And so ended the story of a man who had spoken to people who lived through the Civil War, grown up through two World Wars and lived to see the beginning of the space age. 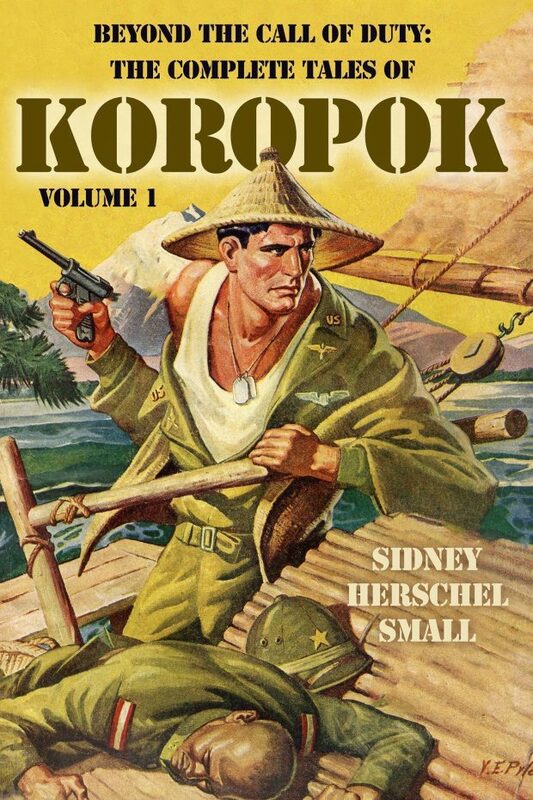 Altus Press are planning to republish his Koropok story series from Adventure magazine. I'm looking forward to reading them. I do wonder now - why coming from California, would Small study at the University of Wisconsin. There was probably some connection that I didn't find. Robert Bloch studied there, you say? I really enjoyed the stories by him that I read, too, including the famous one about Jack the Ripper. Real creepy that was, something to share with someone on a dark and stormy night. And Ray Palmer too, of the Shaver mysteries fame. What is about UW that drives people to these wild fantasies, eh? I've read the Koropok stories which appeared in ADVENTURE during the 1940's. There were around a dozen novelets all dealing with an American undercover spy in Japan during WW II. They give a glimpse into wartime life in Japan. This was just one of the several series which made ADVENTURE an excellent magazine during the 1940's under the editorship of Ken White. I started one of them, and was startled to realize that Koropok was actually a Welshman impersonating a Japanese Ainu tribesman. I kept the magazine down in the middle of the story and now can't find it anywhere, so I can't tell you how the story ends. I enjoyed the glimpses of life in Japan, and am looking forward to the rest of them. Another interesting thing about this series was the art by illustrator Hamilton Greene. He illustrated many of the stories and not with just the usual one piece of art but with several illustrations for each story. He was not your usual pulp illustrator but was a few levels above. I did like the illustrations in Adventure in the 1940s, one of the things which improved over the earlier editors. Hoffman and his successors certainly knew good fiction, but the artwork in Adventure used to be quite minimal, with one heading per story. Hamilton Greene was one of the better illustrators, as you say. I know him more from his work in Blue Book, where he covered WW2 with pictorial articles, where he sent in the pictures and captions from the battlefields. Looking forward to reading these stories. You mention other series in 1940s Adventure that stood out, care to name a few? I'd like to keep an eye out for them when I get around to reading those issues. Concerning illustrations, I liked Hoffman's policy of turning the entire issue over to one illustrator, who then did all the art for each story. But I also liked the 1940's policy of having several illustrations for each story, an idea that they borrowed from BLUE BOOK and the slicks. Enjoyed reading this and actually learned things about my family that I didn't know. John Small (Sidney's son)is my grandpa. He talked very fondly of his father and told me many stories about the family and Julia Erlanger, Sidney's mother who was the artist. Grandpa Sidney gave writing lessons to the inmates where he met Tasker. I think he actually snuck out Tasker's manuscript so that it could be read by a publisher. He felt sorry for them and also covered the hangings for the paper. His (our)Uncle is also Joseph Erlanger (Uncle Joe)who won a Nobel Prize in medicine in the 40's.